I know it sounds morbid but I told Jonathan "if I suddenly died, don't forget to have a look at my Instagram." Have S look at it as well, to see where his mom has been while he was living his college life. See that I rejoice in the smallest of moments in life. Typical Jonathan responded "If I remember"and "how sudden?" Jonathan has a way of cutting right through my intensity and diffusing it with the funniest, sometimes frustrating, short responses. Making light, often with his New England dry humor, of what can seem a very dire circumstance. Lightens me up once in a while, but I believe I already said that, multiple times. Like when I was super concerned yesterday about the morning dove nesting at our window sill. "She does not sleep. She does not close her eyes." I turn to J with the utmost concern. J responds: "birds don't have eyelids" which turned out to be false but was really funny at the time. I was thinking poor bird can't bat an eyelash. I married J for his brains, but as it turns out, both he and I have a major void and were lacking in our bird eyelids education. I was made aware of our fowl illiteracy via a twitter friend of mine who pointed our gross misgivings out. She used to own a parakeet. Trust me I am not making this up. This enlightening tidbit sent me on a research frenzy about birds eyelids. No wonder I haven't posted food here in a while. I get so easily distracted and swept up by the urgency to look into such pressing matters. Spring has a way of doing it to me, distracting. The gorgeous weather is so enticing that I can't stay indoors. I observe everything outdoors. I take nature in even if it's not sweeping views of an epic National Geographic photojournalistic trek, only my little piece of yard haven. The powdery pollen on the anthers and the healthy looking red fox, mid-day, boldly standing in our overly exposed, sunny back yard. Do you feel the blinding rays piercing?! The robin swooping on to the front stoop, where the azalea bushes are in full bloom, pecking at the chipmunk who is burrowing for something, beneath the earth at the corner of the brick pavers. At first I thought it was quite accidental, as in the case of a bird flying into a translucent window, but then the robin ascended a couple of times more, as the chipmunk was trying to climb the woody azalea trunk. I knew it was not coincidental. Is this normal?! I have never seen a robin that combative. It must have a nest somewhere nearby he or she is protecting. The chipmunk unhurriedly changed directions and then took off. He clearly couldn't be bothered by this pesky little bird pecking at him with conviction. All the while I am standing just inside my front door, trying to seem inconspicuous, trying not to rattle the chipmunk and the robin. 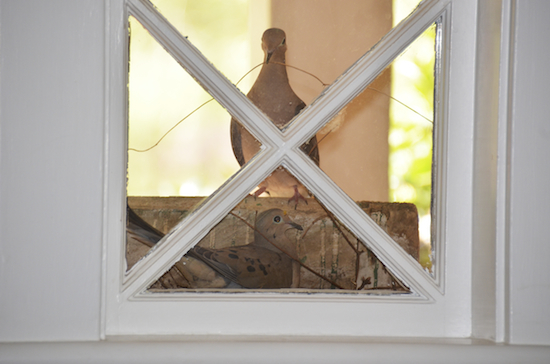 As just to my right, in the tiny cape cod style window sill, is the morning dove nesting, on its lone white-ish egg. I didn't wish to agitate the poor girl, already on high alert from the movements in the house, old wooden floor boards creaking, Wizzy scratching at the door and god only knows what other concerns cross this mommy dove's mind?! Maybe snakes, quite possibly, as they are known to wrap themselves around the twine, camouflaged, ready to rob the nests and the birds of their future offsprings. Mommy morning dove is determined. She no longer flies away as we walk by. We were cowering for the first few days. We take Wizzy out for a walk through the back door and wait for the hatchling. J says it's going to be fairly quick, the incubation period is 5-10 days, but don't take him up on his word, as we all already know, he has already led us astray once, when it came to bird trivia and facts. 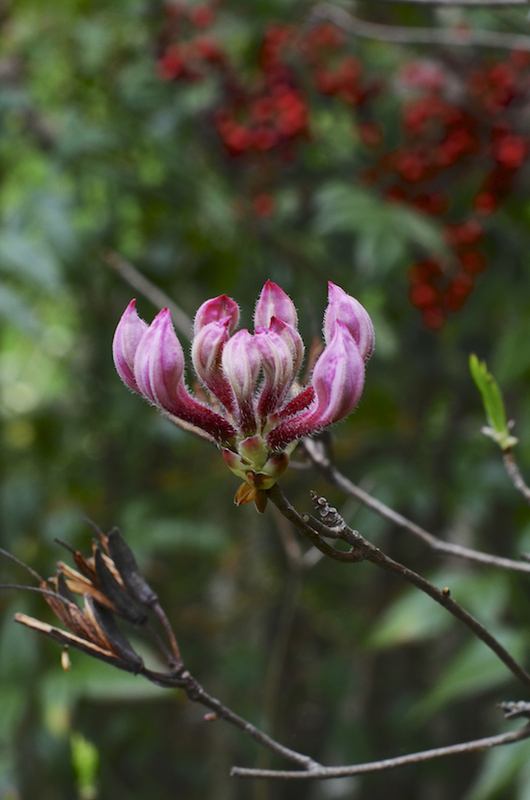 It's a sign of spring as the leaves unfurl and the buds bloom. It's a sign of spring as the dormant grass, photosysnthesis-ed. It's spring as I bird watch and snap photos of nature coming alive. It will truly be spring when we see the hatchling poke through the broken egg shell with his beak open yearning to be fed. ...and if I unexpectedly died, it shouldn't be morbid at all. I wish for my two guys to know that birds have three sets of eyelids, one set closes horizontally, not vertically like ours, and smile at how fun loving and wacky I was. Lovely pictures and those doves are so cute! TY Rosa. Their dedication is really amazing! 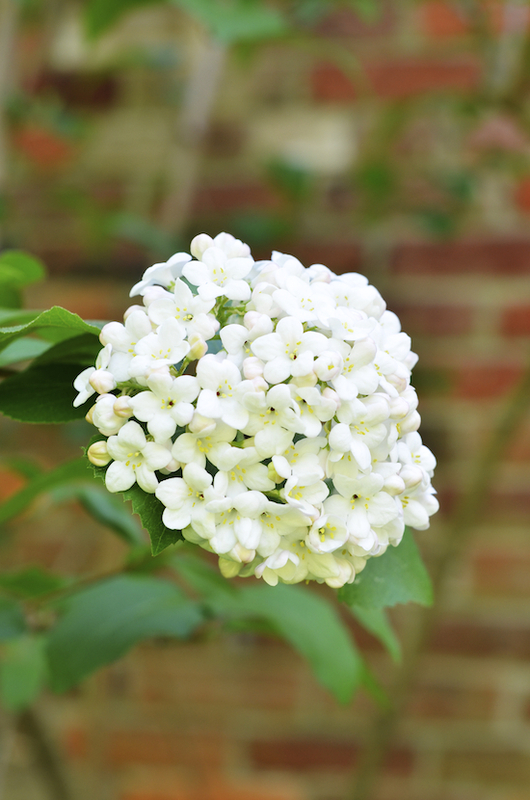 Gorgeous photos - I love seeing all the Spring flowers in bloom! TY Jeanette. It was very odd with the cherry blossoms this year within a week they bloomed and fell to the ground after some rain showers. אז כמובן התמונה עם הפרחים הלבנים הכי מצאה חן בעיני, אבל הפרח הורוד מאדדדדדדדדד מיוחד. חחח וויני זה הייה טוב פרחים לבנים. אני שמחה שצלמתי פרח לבן והוא גם כל כך ריחני מאחלת לך גם המון המון אפייה בעתיד הקרוב והרחוק. יוני כבר נתן לי חומר נוסף לפוסט בהמשכים:) חג לג בעומר שמח! Beautiful. I really enjoyed reading this. 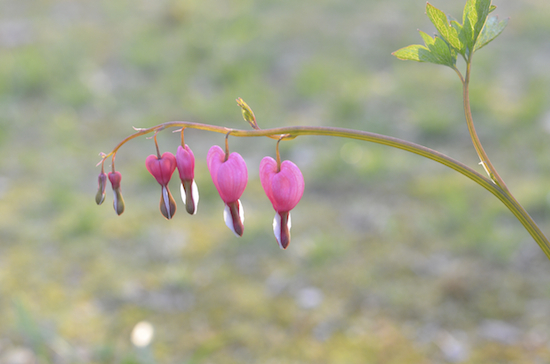 And the bleeding hearts are gorgeous!Thank you. TY Nisrine. It was a light hearted, fun post to write. I have said many an ignorant thing about birds to my husband who then promptly educates me in great detail. He is so knowledgable about birds and other creatures that it's one of my favorite things about him. Beautiful shots capturing life around you, Shulie. 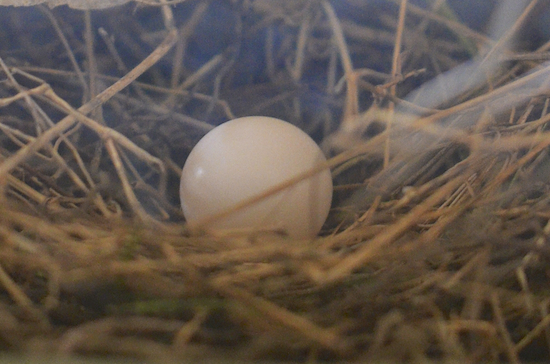 What a treat to be able to see a morning dove's egg this closely. Awwww... those doves are too cute!!!! Oh Shulie. Spring is such an incredible awakening.Kind of like a giant birthday present with each layer unveiling its glory. thank you for reminding us. Beautiful shots! Spring captured in photos... love it! There is no better season to fully realize the miracle of life than spring! Beautiful photos!